The Buffalo Nickel as You’ve Never Seen It Before! 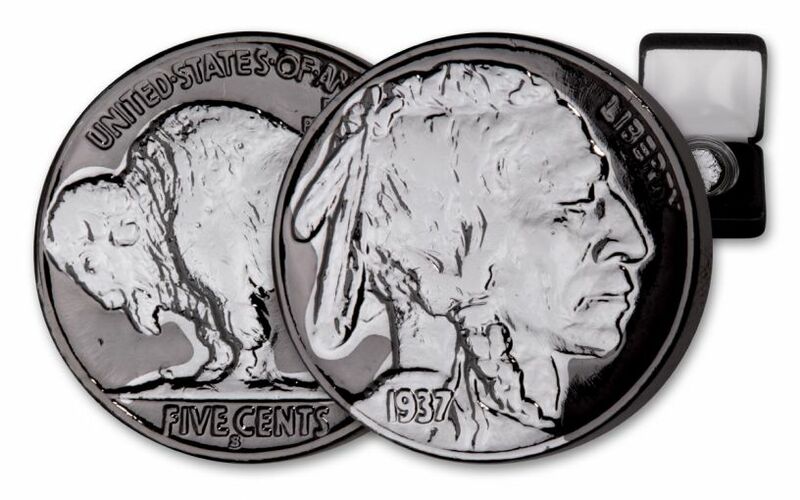 Issued from 1913-1938, America’s Buffalo Nickels are one of the most popular and revered coins ever struck. 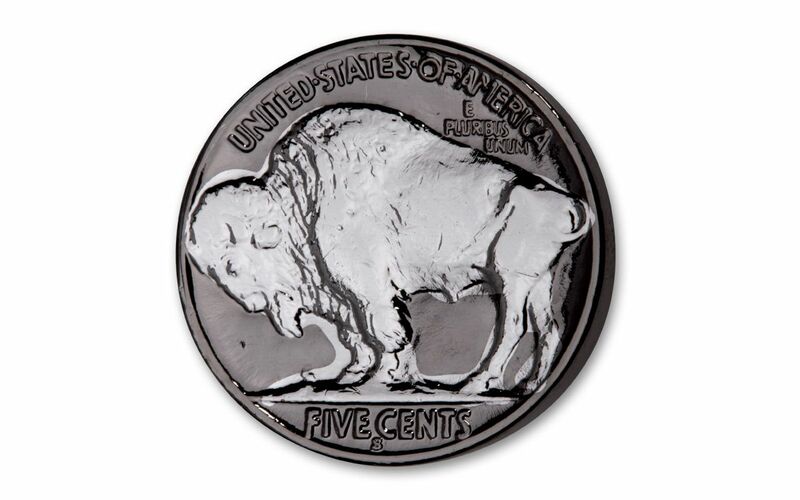 Designed by sculptor James Earle Fraser, the coin’s authentic “Wild West” images of a Native American on the obverse and a North American bison on the reverse have become so iconic that they were the designs used when the U.S. Mint began striking $50 Gold Buffalo series in 2006. 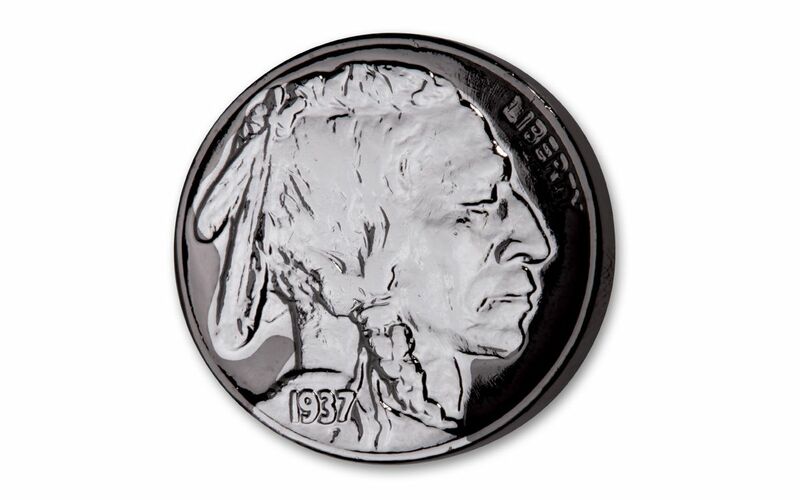 Now you can secure real 1930s-era Buffalo Nickel like you’ve never seen it before – layered in Black Ruthenium and lavished with silver highlights on both the obverse and reverse. The effect is absolutely stunning, giving these 80-year-old coins a new-age twist that will look just as nice in your collection as they would as a piece of jewelry! And why not? Silver is one of everyone’s favorite precious metal and Black Ruthenium is a type of platinum metal that has a deep, dark hue – only it’s 100 times rarer than platinum! Add one or more of these superb collectibles to your cart now – get one for yourself and more to give away to family and friends. EXCITING AND POPULAR DESIGN – America’s Buffalo Nickel features an obverse design of a Native American thought to be a combination of three tribal chiefs: Iron Tail, Big Tree and Two Moons. The reverse was modeled after Black Diamond, an American bison that lived at New York’s Central Park Zoo when the coin was designed. HISTORIC 1930S DATES FROM THE 1930S – Each Coin in this offer was struck in the 1930s and displays a full date (dates vary). LAYERED AND HIGHLIGHTED IN PRECIOUS METALS – You coin has been entirely plated with Black Ruthenium and layered in silver to create a magnificent presentation piece. 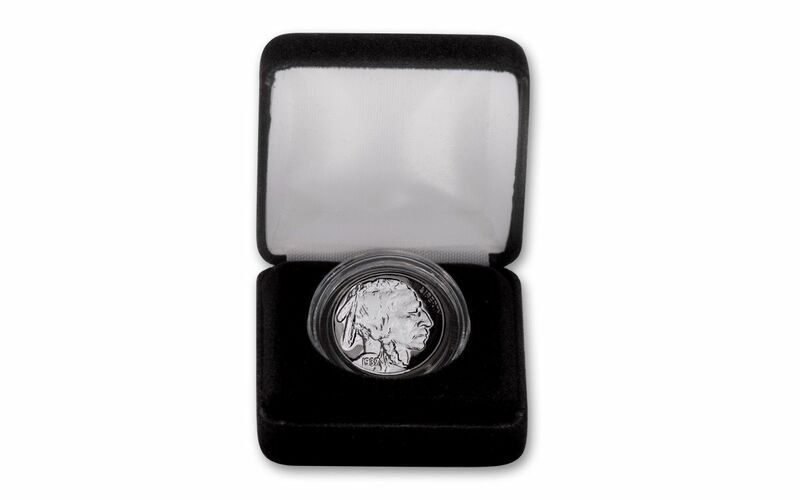 AUTHENTIC LEGAL TENDER COINS – Your 1930s-Era Black Ruthenium w/Silver Plating Buffalo Nickel is an authentic coin from the 1930s with a 5 cents denomination. Everyone loves the Buffalo Nickel. Thanks to a special high-tech plating process, you can own a new version of the classic coin. Add one or more to your cart today.